SS TEXACO NORTH DAKOTA, an American flag oil tanker operating from Port Arthur, Texas, is the domestic coastwise carriage of refined petroleum products between various Gulf Coast and Atlantic Coast seaports. Built in 1954 pursuant to Texaco design, TEXACO NORTH DAKOTA measured 565.0 feet and weighed 12,789 gross tons. The ship had an amidships deckhouse which contained deck officers' quarters and the navigation bridge. Located at the stern of the vessel was the after deckhouse which housed the engineering/machinery spaces as well as the engineers' and crews' quarters. Fate: On Aug. 21st, 1980, she suffered a serious explosion in her pump room, killing 3 crew. Scrapped Brownsville Texas, 1983. 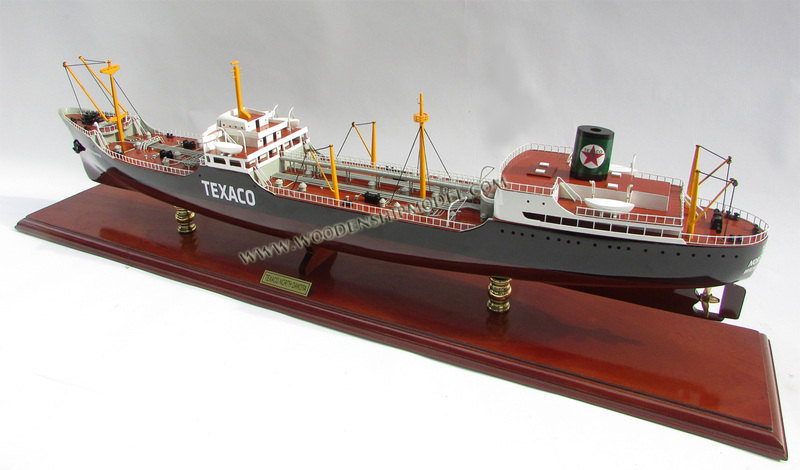 Texaco, Inc. was the owner and operator of S/T TEXACO NORTH DAKOTA, an American flag oil tanker operating from Port Arthur, Texas, in the domestic coastwise carriage of refined petroleum products between various Gulf Coast and Atlantic Coast seaports. Built in 1954 pursuant to Texaco design, TEXACO NORTH DAKOTA measured 565.0 feet and weighed 12,789 gross tons. 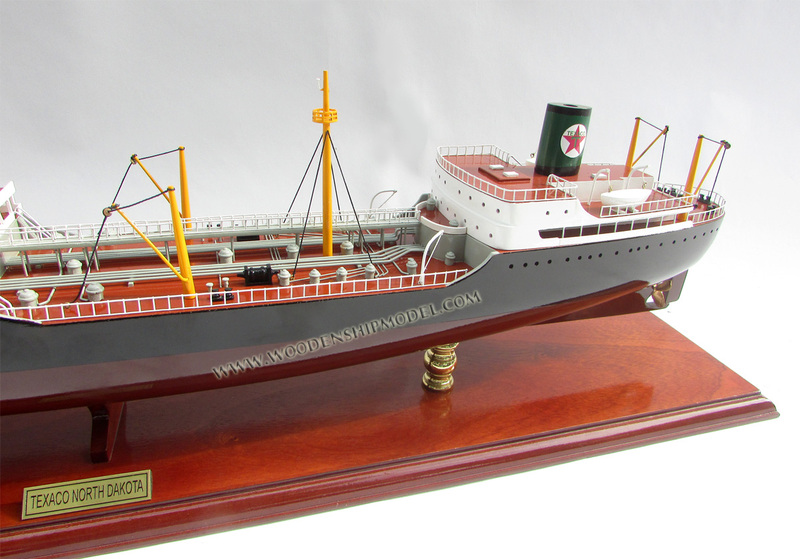 The ship had an amidships deckhouse which contained deck officers' quarters and the navigation bridge. Located at the stern of the vessel was the after deckhouse which housed the engineering/machinery spaces as well as the engineers' and crews' quarters. The vessel was equipped with both a three centimeter radar and a ten centimeter radar. A mast with a cross-tree was located just aft of TEXACO NORTH DAKOTA's raised forecastle. This will be discussed hereafter in greater detail. Chevron Oil Company was the owner of EI-361-A, a partially completed oil and gas platform located in the Eugene Island Oil-field, Block # 361, in the Gulf of Mexico. Brown & Root, Inc. had, on August 27, 1979, contracted with Chevron to provide the design, fabrication, load out, transportation and installation of the platform structure to be identified as EI-361-A. On July 1, 1980, Chevron notified the U.S. Coast Guard, 8th Coast Guard District, that installation of an oil and gas platform, EI-361-A, would commence on July 2, 1980, and made application with the Coast Guard for permanent aids to navigation for the structure. On July 14, 1980, the U.S. Coast Guard approved placement of the platform and the installation of navigational aids. Actual installation began on July 4, 1980. The jacket configuration for the platform was constructed by Brown & Root at their shipyard. It was towed to location by the derrick barge GEORGE R. BROWN (chartered by Brown & Root) and positioned on or about July 5, 1980. On July 21, the Brown & Root crew completed the installation of the jacket. The derrick barge remained on location until this time. Because the above water platform section was not ready, the Brown & Root crew and barge returned to shore. The Chevron structure measured approximately 151 feet by 47 feet and was designed to form the base of an offshore platform rising above the waters of the Gulf. The structure consisted of eight cylindrical pilings erected in about 305 feet of water to a depth of approximately 285 feet below seabed. Its total height was approximately 327 feet, measured from seabottom. Thus, about 12-18 feet of the structure extended above the water surface. On August 4, 1980, TEXACO NORTH DAKOTA departed Port Arthur, Texas, and proceeding to Eagle Point, New Jersey. This was one of the regular voyages that the vessel made between various Gulf and Atlantic seaports. On August 18, 1980, the vessel departed Eagle Point on its return trip to Port Arthur via the straits of Florida, loaded with a highly volatile cargo of raffinate, fuel oil and refrigerator oil. Captain Joseph A. Lupton had served as master of the TEXACO NORTH DAKOTA since early 1977. He had established a course line for this particular return journey, which was essentially the same as that which he had followed previously. TEXACO NORTH DAKOTA travelled in and out *1276 of Port Arthur about two and a half times a month eleven months out of the year. Accordingly, during the early morning hours of August 21, 1980, TEXACO NORTH DAKOTA was proceeding from the Dry Tortugas on the 294° course line set by Captain Lupton. The weather was clear and visibility was unimpaired. There were light southerly winds, and the seas were calm. At about 2100 hours, Captain Lupton retired for the evening. He left instructions to observe his standing night orders, to change course to 310° at the appropriate time (in accordance with his track line), to call him when in any doubt, and to wake him at 0600. The XXXX-XXXX watch was uneventful. Second Officer Darrell Miller, in charge of this watch, maintained the 294° T course at 18 knots until approximately 0312, when he changed course to 310°, essentially complying with the track line established by the Captain. At 0354, Chief Officer Richard Graham relieved Miller and commenced standing the 0400-0800 bridge watch. At this time, Miller identified to Graham the rig the vessel had come abeam of and was passing. That rig was located about one mile and a half to starboard. Miller also identified a rig with flashing lights high off the water approximately 12 miles away, located about three degrees on the starboard bow, later identified as Bokencamp Rig EI-354-A. Seaman Warren Britt relieved the helm watch at 0355, and, at the same time, David Roman relieved the lookout on the bridge wing. At the time Chief Officer Graham assumed watch, only the ten centimeter radar was in operation; the three centimeter radar was on standby. Upon commencement of his watch, he noted a tug (later identified as the JOAN MORAN) pulling a large barge. That tug was to starboard. He also observed a lighted platform some 12 miles dead ahead. Graham anticipated passing to the southwest of that structure and, after passing, bringing the ship back to the track line established by the captain. He ordered a course change to 309° true to compensate for what he perceived to be a slight moderate set to the west. At approximately 0420, Chief Officer Graham checked the radar and observed the platform some five miles ahead of the vessel. He decided to change the ship's course to 305° in order to be sure to clear the rig. I conclude that TEXACO NORTH DAKOTA was off course at this point in time and that the track line established by the captain was not being followed with precision. "Q. When you went out to stand lookout, where was the chief mate? A. He was in the wheelhouse. Q. Was he standing or sitting? Q. Was he sitting in a chair? Q. Where was the chair located? A. Where was the chair what? Q. Where was the chair he was sitting in located? A. It was about It was close to the radar. Q. Close to the radar? Q. Now, can you tell me about what time you spotted the barge? Was it about 4:20, something like that? A. 4:20, yeah, something like that. Q. The casualty occurred about 4:30; is that correct? A. That is what, sir? Q. Now, do you recall what you did when you first spotted the barge? *1277 A. Well, I went inside the wheelhouse and tell the mate what I saw. A. I told him that I saw, like, an empty barge with no lights on it coming across the bow. Q. Now, where was the mate at that time? A. He was seated in the chair close to the radar. Q. Was he awake or asleep? A. Well, he was in a position like, you know, like I won't say. I can't prove that he was sleeping because he was bent like that, tired, or something. Q. He was bent over with his head down? A. Right, sitting in the chair. Q. Sitting in the chair with his eyes closed? A. I can't Nighttime, I can't tell. Q. In any event, did you have to shake him to tell him the barge was there? A. No, sir, I did not touch him. Q. When you reported the barge, what did the mate do? A. The first thing he told me that there was nothing on there because my eyes wasn't familiar with the darkness, you know. So I went back outside and I look out, see if he was for sure, you know. So, I came back and told him again that we was getting closer to a subject I report to him. And he got up and he asked the quartermaster about it, if he see anything. The quartermaster say he didn't see anything. So, I went back and I told him that we going to hit it. Q. And then you went out a third time; is that right? Q. And you again saw the barge? Q. Did you come back in and tell the mate a third time that it was still there? Q. At any time did the mate order that the heading of the vessel be changed? A. I hear none of that. Q. At any time did you see the quartermaster turning the wheel or taking any evasive action? Roman was sure that the object was unlit. Graham testified that the object had not appeared on his radar screen at any time prior to the event. Roman testified that he had observed a (different) lit structure some miles ahead, with lights high up. He also observed that the radar scanner was rotating. Thus, the bridge personnel were all of the firm belief that the structure which was struck had not appeared on the ten centimeter radar screen and was unlighted. Immediately after the allision, the ship's cargo of raffinate exploded and caught fire, engulfing the entire forward portion of the ship, including the bridge, in smoke. The crew followed the captain's orders to abandon ship and with the exception of those volunteers who stayed aboard to conn the ship all hands had more or less safely abandoned the ship and been rescued by other vessels in the vicinity within minutes after the allision. The hulk of the TEXACO NORTH DAKOTA was subsequently sold for scrap. The Chevron jacket was virtually destroyed but remained in place. The allision generated a large number of claims for personal injuries and property damages. In these proceedings, Texaco seeks to limit its liability for those various damage claims to the value of the vessel following the allision. Claimants against Texaco include Chevron, Brown & Root, Inc. and Tideland Signal Corporation, all of whom contend that the damages resulted from acts of negligence and/or conditions of unseaworthiness of which Texaco had actual or constructive knowledge. In determining the scope of the protection afforded by limitation of liability, consideration *1278 must be given to the social and economic purpose that this exculpatory device seeks to serve. The Fifth Circuit Court of Appeals has observed that the impetus behind passage of the Shipowner's Limitation of Liability Act, 46 U.S.C. § 183 et seq., was to ensure that American shipping attracted investment capital that the threat of unlimited exposure might divert to England, which already provided for limited liability. Continental Oil Co. v. Bonanza Corp., 706 F.2d 1365 (5th Cir. 1983). Observing that the Act was passed "in an era before the corporation, with its limited shareholder liability, had become the standard form of business organization and before the present range of insurance protection was available," the Fifth Circuit has called the Act "hopelessly anachronistic." Id. The court went on to discuss "a discernible judicial trend to narrow the Limitation Act by construction." In this circuit, there is, I find, constrictive application of the Act. 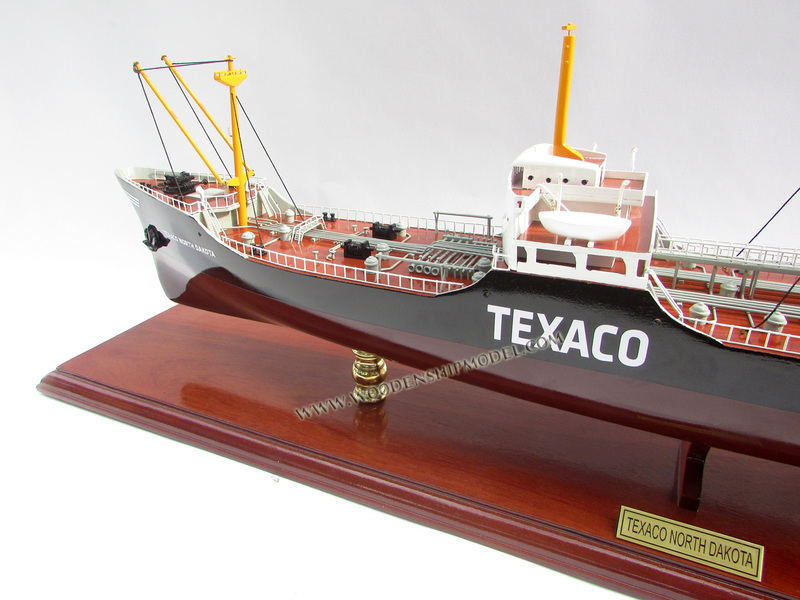 Determination of Texaco's entitlement to limitation necessarily requires a finding of which acts of negligence or conditions of unseaworthiness (if any) caused the allision; and whether such acts or conditions were within the privity or knowledge of the shipowner. See: In Re Brasea, Inc., 583 F.2d 736 (5th Cir.1978); Farrell Lines, Inc. v. Jones, 530 F.2d 7 (5th Cir.1976). The initial burden of proving negligence or unseaworthiness rests with the claimants. In this connection, claimants correctly note that there is a presumption of fault against a moving vessel which strikes a stationary object. Bunge Corp. v. M/V FURNESS BRIDGE, 558 F.2d 790 (5th Cir.1977). Opponents to limitation having established acts of negligence or conditions of unseaworthiness, the shipowner then bears the burden of showing that the negligence or unseaworthiness did not contribute to the allision and was not within its privity or knowledge. "Privity" means some fault or neglect in which the shipowner personally participates, and "knowledge" means personal cognizance or means of knowledge, of which the shipowner is bound to avail himself, of a contemplated loss or condition likely to cause loss, unless proper means are adopted to prevent it. 3 Benedict on Admiralty section 41 (7th ed. 1981). The distinction between whether a cause of the allision is solely due to navigational error on the part of otherwise satisfactory officers and crew or an unseaworthy condition of the vessel is critical to a resolution of the limitation issue. For example, if the cause is the "instantaneous negligence" of the crew or master, then the shipowner has generally been allowed to limit his liability on the grounds of lack of privity or knowledge. Matter of State of La., Dept. of Highways, 455 F. Supp. 272 (E.D.La.1978); Farrell Lines, Inc. v. Jones, 530 F.2d 7 (5th Cir.1976). Indeed, the Fifth Circuit has recently noted that no court has previously denied a corporate shipowner limitation of liability for a master's navigational error at sea when the owner has exercised reasonable care in selecting the master. The theory supporting limitation when the loss results from a master who has made navigational errors is two fold: First, if the owner exercises due care in selecting the master, he discharges his obligations and he may thereafter rely on the master's skill and expertise. Second, if the owner is so far removed from the vessel that he can exert no control over the master's actions, he should not be taxed with the master's negligence. Continental Oil Co. v. Bonanza Corp., supra. The latter consideration has been the subject of some criticism, in view of modern technology which has made it increasingly easy to maintain communication with vessels at sea. The more restricted the operation in which a vessel is engaged, the greater will be the degree of control which the corporate owner will be expected to exercise. The duty to control thus increases with the possibility of control. Waterman Steamship Corp. v. Gay Cottons, 414 F.2d 724 (9th Cir.1969). However, where the causative factor of an allision is an unseaworthy condition *1279 rather than a negligent act of the officers or crew limitation is often denied. The rationale of such denials is that such conditions could have been, and should have been, discovered before the vessel left the dock, and, therefore, knowledge of the causative unseaworthy condition is imputed to the shipowner through his managerial agents, port captains, marine superintendents, etc. See: Matter of State of La., Dept. of Highways, supra, at 281, citing The LINSEED KING, 285 U.S. 502, 52 S. Ct. 450, 76 L. Ed. 903 (1932). 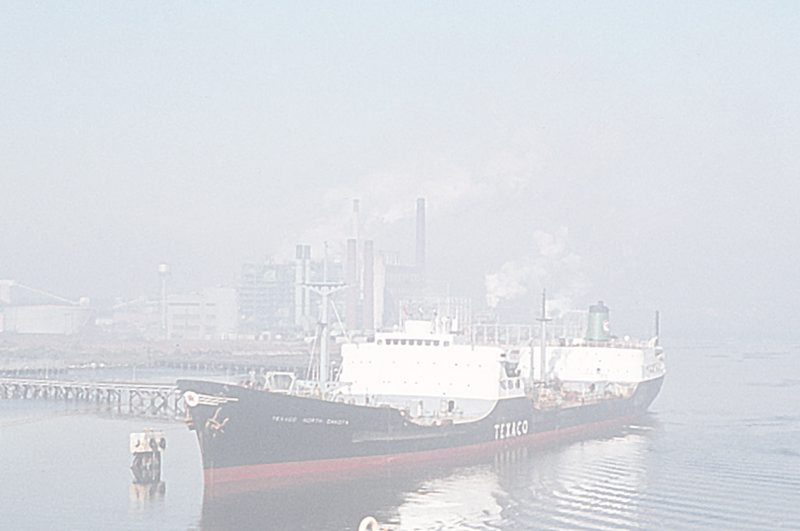 Seaworthiness is defined generally as reasonable fitness to perform or do the work at hand. Farrell Lines, Inc. v. Jones, 530 F.2d at 11. Unseaworthiness most frequently consists of some mechanical or structural defect or deficiency in the vessel. Matter of State of La., Dept. of Highways, supra. In keeping with the recent judicial trend to narrow application of the Limitation Act, some courts have also held that an inadequate crew constitutes an unseaworthy condition. Tug Ocean Prince, Inc. v. United States, 584 F.2d 1151 (2d Cir.1978); Matter of Ta Chi Navigation (Panama) Corp., 513 F. Supp. 148 (E.D.La.1981). This has led, in some instances to a conclusion that a vessel was unseaworthy because the errors in navigation came about as the result of an inadequate crew. Tug Ocean Prince, Inc., 584 F.2d at 1156; Complaint of Thebes Shipping, Inc., 486 F. Supp. 436 (S.D. N.Y.1980). But, if the owner fulfills his duty to use due and proper care in providing a competent master and crew and sees that the ship is seaworthy, then losses occurring by reason of fault or negligence in navigation are a valid basis for limitation. Equally clear, however, is the premise that "... an owner cannot close its eyes to what prudent inspections would disclose. An owner must avail himself of whatever means of knowledge are reasonably necessary to prevent conditions likely to cause losses." Waterman Steamship Corp. v. Gay Cottons, 414 F.2d 724 (9th Cir.1969); Avera v. Florida Towing Corp., 322 F.2d 155 (5th Cir.1963). Claimants against Texaco contend that the crew of TEXACO NORTH DAKOTA was negligent in (1) failing to use the safety fairway established by the United States Coast Guard; (2) posting the lookout on the bridge instead of on the bow; (3) failing to pick up a U.S. Coast Guard broadcast warning of possible damage to navigational aids following the passage of Hurricane Allen; and (4) failing to use both radar sets. Claimants contend that these acts of negligence were within the privity or knowledge of Texaco. Claimants further assert that the vessel was unseaworthy in that the ten centimeter radar aboard the vessel allegedly had a "blind spot," and that the navigational chart in use on the voyage was inaccurate and did not reflect updated information contained in the most recent edition of the 8th District, U.S. Coast Guard, Local Notice to Mariners. Similarly, claimants aver that these conditions of unseaworthiness were within the privity or knowledge of Texaco, and that limitation of liability should therefore be denied. At the outset, it must be noted again that there is a presumption of fault against a moving vessel which strikes a stationary object. Thus, although claimants bear the initial burden of proving which acts of negligence or conditions of unseaworthiness caused the accident, this burden is met by the presumption of fault against Texaco. Accordingly, the burden shifts to Texaco to demonstrate that it was without fault or that the allision was occasioned by the fault of the stationary object or was the result of inevitable accident. Bunge Corp. v. M/V FURNESS BRIDGE, 558 F.2d 790 (5th Cir. 1977). Texaco maintains essentially that the cause of the allision was the negligence of one or more of the claimants in failing to insure that the navigational aids installed on the Chevron jacket were operational following the passage of Hurricane Allen through the Gulf. Had the jacket been properly lighted, Texaco argues that the allision would not have occurred. *1280 The testimony of bridge personnel on watch aboard TEXACO NORTH DAKOTA on the night of the allision was uniform there were no lights on the Chevron jacket. Other testimony is not as compelling: Steve Sweimler was a mechanic employed by Reagan Equipment Company who did maintenance work during the summer of 1980 (one week on, one week off) on Texaco platform EI-338-A, located approximately four to five miles north of the Chevron jacket. Sweimler was familiar with the location of other platforms in the area. He recalled seeing the jacket when it was set in early July. Sometime thereafter, and continuing through the week of July 29, 1980, to August 5, 1980, he observed four flashing lights on the jacket. When Sweimler returned to Texaco platform 338-A after the hurricane alert (discussed later), he noted that the jacket was no longer lit at night. Ben Landry was a pumper on Texaco platform 338-A during the summer of 1980. He was also familiar with the various oil and gas structures in the area. Landry testified that prior to the hurricane, he observed two flashing lights; he noted that in his experience, such structures normally have four lights, and concluded that possibly only two were visible from his angle of view. Following the hurricane, Landry returned to the Texaco platform for four days and three nights and did not see any lights on the jacket during this period. Landry reported the outage to Jerry Marcotte, a Texaco production foreman for the field on platform 313-A, and two days later, called the Texaco office in Morgan City to report the matter to Allan Verret, a Texaco district civil engineer. Verret confirmed that he received this call on August 12th, but apparently erred in recording the identity and location of the unlit jacket. Because of this, Verret never ascertained the owner of the jacket. Chevron and other claimants contend that Texaco has failed to prove that the jacket was unlighted on the night of the allision. They contend that it is apparent the jacket was properly lighted. Chevron offered the testimony of Walter Evans, an alleged eye witness to the allision. On the night of August 21, 1980, Evans was aboard the tug M/V JOAN MORAN, which was towing a large barge across the Gulf. Evans testified that, on his radar, he saw the TEXACO NORTH DAKOTA overtake his vessel on the port side, and then pull ahead and across his bow. Evans further testified that prior to the allision, he noticed two stationary oil and gas structures on his radar, and that he also visually observed dim lights on the nearer structure, as well as bright lights on the structure about eight to ten miles behind it. Evans had made this trip previously, but could not recall if he had noticed the dimly lit structure before, and did not have it indicated on his chart. In a written statement taken the day after the incident, Evans elaborated further, stating that he "had them both on radar, but looking at them visually, right, I couldn't tell which was the closer and which was the further away rig." Evans continued to observe the TEXACO NORTH DAKOTA and noted that immediately prior to the allision, the vessel and the two structures he had observed "came on line." Shortly thereafter, he saw the vessel collide with the jacket. At that time, Evans was about five miles away from the vessel and the jacket. Chevron also called Michael O'Brien, a cadet wheelman employed by Offshore Crews aboard the M/V MATAGORDO SEAHORSE. On August 20, 1980, that vessel was enroute from Morgan City to Bokencamp Rig No. 3, EI-354-A (a Mobil rig) to discharge liquid mud. The Chevron jacket was about five miles southeast of the Bokencamp rig. When the MATAGORDO was about one mile north of that rig, O'Brien noticed some lights southeast of his heading, and because he was "new in the area," thought at first that the lights might have been the Bokencamp rig. O'Brien testified that he had never seen a light in block 361, but he had only been in the area once before at night. O'Brien did not see any lights beyond those he noted, and was unaware that there was a platform and rig in block 384, southeast of block 361 about 12 to *1281 13 miles away from the MATAGORDO at the time he noticed the lights. O'Brien testified that he also saw lights to the south of his course. What might be termed as positive testimony regarding the lighting on the structure is, at best, inconclusive, while the negative testimony is strong and clear. Furthermore, in dealing with this issue, I have thought it fair and proper to give considerable weight to Roman's testimony on this point (which is helpful to Texaco's contention of failed lighting) to the same extent that I credited his testimony (damaging to Texaco) regarding Chief Officer Graham's conning of the ship. I find that the structure was unlit or so inadequately lit that it was unlit for practical, navigational purposes. IV. THE PART PLAYED BY BROWN & ROOT AND TIDELAND SIGNAL CORP. Contractor (Brown & Root) shall be responsible for placing appropriate temporary Coast Guard approved navigational aids on the structure at all times when construction equipment is not alongside the structure. Contractor shall be responsible for maintaining this equipment in operating condition until construction work under this contract is completed insofar as possible. In accordance with this provision, the Brown & Root work crew installed on July 21, 1980, navigational aids rented from Tideland Signal Corporation ("Tideland"). These aids consisted of two flashing white lights and a fog horn. On July 22, 1980, a Chevron representative contacted Brown & Root and ordered installation of additional navigational aids, approved by the U.S. Coast Guard. Brown & Root contracted with Tideland for provision and installation of these additional aids. On July 24, 1980, two Tideland service technicians and two Brown & Root welders traveled to EI-361-A and installed these navigational aids, with transportation provided by Brown & Root's derrick barge GEORGE E. BROWN. The lights already in place were removed and four 6 foot high 3 inch diameter steel poles were welded to the horizontal cross trusses of the well jacket, one on each of the four corners. Pedestals were then welded on top of each pole, and an ML-300 light installed on each pedestal, secured with 3½ inch diameter bolts. Each light was 2½ feet from the base to the top of the lens, with a diameter of 17 inches. The lights were rated by the U.S. Coast Guard as having a visibility of 5 miles, and were connected with a "sync" line so that they would flash in unison. The top of the lights was approximately 22-23 feet above the surface of the Gulf. An Audio Beam 2-Mil Fog Signal, Model AB-860 was also installed. The power to run the lights and fog signal was provided by batteries with appropriate backups. The work crew and vessel returned to shore after these installations, and the Chevron structure was, thereafter, unattended. During the period August 6 through 9, Hurricane Allen moved into and across the Gulf of Mexico, producing gale winds and high seas. The center of the storm passed some 250-275 miles south of the location of EI-361-A. Because of the passage of Allen, Chevron made the decision on August 13, 1980, to contact Brown & Root to request that the navigational aids on the jacket be inspected. As a result of this, Lonnie Cowan, Brown & Root Marine Construction Coordinator Manager, contacted Winton Adams, accounts manager for Tideland, and requested an inspection of the above described navigational aids. It is apparent that Adams understood that this inspection was to be performed as soon as possible, and stated that in the normal course of events it would have been performed within a week. Adams referred the request to Calvin Carrier, service manager for Tideland in Berwick, Louisiana. Adams was aware that Hurricane Allen had just passed, and stated that he had received *1282 many similar calls. He also testified that he received a fairly substantial number of orders for lights damaged by the hurricane. In response to the call from Adams, Carrier contacted various companies to obtain a vessel for transportation, but was unable to procure one immediately. He instructed those companies to call him as soon as a boat did become available. Adams testified that he was informed by the service department that no boats were available, and that he called Cowan back to advise him of this problem. Adams further testified that he requested a vessel from Cowan, who responded that he had none available. This testimony directly conflicts with that of Carrier, who stated that he did not recall calling Adams back, and Cowan, who stated that although he did not offer to provide transportation, he would have had vessels available, and that Adams never called to request assistance with the transportation. Brown & Root records essentially support Cowan's assertion that a vessel could have been made available to transport an inspection team to the jacket location. Moreover, the evidence supports the conclusion that the service department did in fact have a vessel available to carry out this service request. The M/V SPARTACUS is a vessel chartered by Tideland on a more or less continuous basis for servicing maintenance contract customers of Tideland on a periodic basis. The schedule for that vessel during August 13-20 indicates that it was in the area of the Chevron jacket. Specifically, the ship logs demonstrate that the SPARTACUS passed within ten miles of the jacket on August 18, 1980. Moreover, Carrier testified that he had in the past contacted the SPARTACUS while at sea to make various inspections in the area where it was operating. Carrier stated that in this instance he did not consider using the SPARTACUS because he did not feel there was any particular urgency and because he had made tentative ("call me back") arrangements to charter another boat. Carrier went on vacation on August 15th, leaving in charge Alan Pearson, an assistant supervisor who testified that he was not often left in charge. Pearson stated that Carrier instructed him that the Brown & Root request remained outstanding and that as soon as a boat company called with a boat available, the call out was to be performed. Pearson never did receive such a call. Though he was in daily contact with the SPARTACUS (out at sea from August 15 through August 21), he did not feel that he had authority to re-route the vessel. We must advise you that the inspection of Aids to Navigation on the Chevron Oil platform at Eugene Island 361 requested by you on or about August 13, 1980, has not yet been accomplished. Our delay is due to unavailability of helicopters or boats after Hurricane Allen and the many requests by other offshore operators for inspections and replacement of storm lost equipment. Based on the failure of Tideland to perform the call out, and the testimony of its witnesses, Texaco contends that the lights on the Chevron jacket were not functioning on the night of the allision. Relying primarily on the testimony of Evans and O'Brien, claimants contend otherwise. The testimony of the witnesses on this point was clearly inconsistent. I conclude that the navigational aids on the jacket were damaged at least to the extent that they were virtually indistinguishable on the night of the allision. In so holding, I do not impugn the credibility of any of the witnesses who testified that they saw lights. The area in which the Chevron jacket was situated was marked by a variety of rigs and platforms, making it easy to confuse one for another, especially when, as is the case with Evans, one viewed the Chevron jacket from an angle at which it was dead ahead of another much larger and brightly lit platform and rig. I acknowledge that the possibility that other rigs or platforms were mistaken for the Chevron jacket is one that exists with respect to all of the witnesses; however, I find this possibility *1283 to be less likely in the case of Landry and Sweimler, offshore workers who had been working in the area for some time and were comparably familiar with the area, and thus more likely to notice accurately any changes. Although O'Brien had occasionally worked in the area of EI-361-A, he was far from familiar with the area, and in fact conceded that he was new in the area. The same is true of Walter Evans, who also was not familiar with the jacket. I conclude, therefore, that the jacket was unlighted on the night of the allision as a result of damage inflicted by the passage of Hurricane Allen. Winton Adams, accounts manager for Tideland, testified that after that hurricane he received many calls for inspections to navigational aids, and many orders for lights damaged by the hurricane. The testimony of Calvin Carrier (Tideland's service manager) that Tideland did not receive an unusually large number of calls is unpersuasive because of his departure on vacation shortly following the hurricane. I conclude also that the absence of properly functioning lights on August 21, 1980 contributed to the allision which took place at that time. I am aware of those cases cited by claimants for the proposition that the absence of lights on a structure was not a legal cause of an accident. Placid Oil Co. v. S.S. WILLOWPOOL, 214 F. Supp. 449 (E.D.Tex.1963); Continental Oil Co. v. M/S GLENVILLE, 210 F. Supp. 865 (S.D.Tex. 1962). Both cases are distinguishable. In Continental Oil, the bridge personnel did not utilize the ship's radar at all, no lookout was posted, and the latest charts showing the position of the structure with which the vessel collided were not aboard the ship. Moreover, the court made a specific finding that the lights upon the structure were of sufficient intensity and brightness, such that any negligence in this regard was "minor and technical when taking into consideration the faults of the vessel." 210 F. Supp. at 866. I find that in the circumstances of this case, the absence of lights upon the Chevron jacket cannot be considered merely "technical fault." As owner of the well jacket EI-361-A, Chevron had a general statutory duty to provide the structure with properly operating lights. 33 C.F.R. 67.01 67.15-10; 33 C.F.R. 62.20, 62.25-50; Chevron Oil Co. v. M/V NEW YORKER, 297 F. Supp. 412 (E.D.La.1969). Pursuant to contract with Chevron, Brown & Root agreed to be responsible both for placing appropriate temporary navigational aids on the structure at all times when construction equipment was not alongside, and for maintaining these aids in operating condition until construction work was completed. Brown & Root hired Tideland to provide and install temporary navigational aids. When Brown & Root received a phone call from Chevron to inspect these navigational aids, it called Tideland to perform this task, which responsibility Tideland accepted. Tideland's failure to perform this task constitutes negligence on its part. Moreover, Brown & Root failed to ensure that its contractual responsibilities were adequately fulfilled, and in this respect was itself negligent. Chevron had a general statutory duty to provide the structure with proper lights, and attempted to fulfill this duty by contractually delegating this responsibility to Brown & Root during the construction phase, and by requesting an inspection of the aids from Brown & Root following the hurricane. These actions, reasonable to the extent that they were carried out, nevertheless fail to exonerate Chevron entirely from responsibility. At trial, TEXACO NORTH DAKOTA's Captain Lupton testified that he was aware of the steady increase in the number of platforms in the Gulf. His decision not to follow the safety fairway into Port Arthur was deliberate, based on his opinion that the fairway was too narrow, and heavily congested with vessel traffic. Captain H. Pappas, Manager of Texaco's U.S. Fleet Operations, testified that Texaco was aware that this and other of their vessels did not regularly utilize the safety fairways. Texaco's policy was not to interfere in such decisions but to leave matters of navigation to the discretion of its masters. Although Texaco does recommend use of "traffic separation schemes," Captain Pappas testified that these were not considered to include safety fairways. Captain Welch was master of the TEXACO NORTH DAKOTA from 1961 through 1964, and from 1969 through the spring of 1977, when he was relieved by Captain Lupton. Captain Welch testified that he also had "run the rigs" in and out of Port Arthur, and that in his opinion the safety fairway was no safer than "running the rigs" because of the density of traffic therein. Texaco's expert master mariner, Captain Kenneth Torreas (formerly employed by Farrell Lines) concurred in this assessment. The foregoing testimony was called into question by that of Chevron's expert master mariner, Captain Thomas DeTemple, who stated that it was unsafe to run outside the safety fairway in the Gulf since it was not unusual to find unlit structures out there, and also a proliferation of new structures, some of which spring up in a matter of days. Captain DeTemple testified that it was for these reasons that his former employer, Farrell Lines, had instructed its mariners to use all safety fairways, separation zones, and recommended routings. Captain DeTemple's opinion was confirmed in all respects by Captain Claude Davenport, a master mariner and maritime consultant. Good seamanship, however, requires that ships should, in general comply with the scheme, so that failure by any ship to comply with it may well amount to negligent navigation on her part. After finding that the master of the GEMINAR was well aware of the traffic separation scheme depicted on the relevant charts, and the recommendations with regard to it, the court found that the vessel was guilty of fault, and that this fault caused the collision. Texaco argues that the Gulf of Mexico "safety fairways" are distinguishable from the traffic separation schemes positioned *1285 throughout the world in heavily trafficked channels. Safety fairways were created pursuant to 33 C.F.R. 209.135. This regulation delineates certain areas in the Gulf where offshore drilling, exploration, and production is prohibited. However, there is nothing in the regulation requiring vessels to navigate only in the safety fairways. By contrast, argues Texaco, traffic separation schemes were established by the Inter-Governmental Maritime Consultative Organization (IMCO), for the purpose of segregating vessel traffic into "one-way navigation routes" at the approaches to various international seaports and channels. Texaco has through various Circular Letters and Notices urged the use of traffic separation schemes where applicable, although, as Texaco agrees, navigation through traffic separation schemes is not mandatory by law, but only encouraged. Texaco attempts to distinguish safety fairways from separation schemes insofar as standards of prudent navigation are concerned, and there may be some validity to this when considered only from the standpoint of a navigational decision by the captain and the officers who are actually conning the vessel. But a management determination to leave this decision entirely in the hands of the line officers of the company vessels is one that must be painstakingly scrutinized from the limitation standpoint. Although the allision may well have been avoided had the Chief Officer not deviated from Captain Lupton's track line (questionable navigation in and of itself), it is clear that the allision would have been averted had the vessel been proceeding within the appropriate safety fairway, a route designed and intended to prevent allisions such as the one which occurred here. Captain Lupton took a greater risk in failing to use the safety fairway at a time when Hurricane Allen had recently passed through the area. The conscious decision not to use the safety fairway was within the actual knowledge of Texaco. This important fact is essentially conceded by Captain Pappas, Texaco's Manager of domestic fleet operations, and distinguishes this case from those in which limitation was granted where the accident occurred due to an act of navigational negligence over which the shipowner had neither control nor knowledge. Moreover, since Texaco encouraged use of traffic separation schemes, it clearly could also have encouraged and recommended use of safety fairways here with compliance being essentially assured thereby. The failure to require use of the safety fairway just after Allen's passage was, I believe, a decision that intertwined both navigational and managerial processes. Indeed, I find navigational and managerial oversights intertwined to a substantial degree throughout the factual occurrences that involve Texaco and to an extent that fully supports the breaking of limitation. This Notice was broadcast on 2670 kilohertz, a frequency not guarded by the TEXACO NORTH DAKOTA (nor required to be so guarded). It was also carried on 432 kilohertz, a frequency which was guarded by the vessel. The Notice ceased being broadcast on August 22nd, the day after the *1286 allision. Texaco contends, and claimants do not dispute, that U.S. Merchant Marine ships are not required constantly to monitor incoming radio traffic but must only monitor eight hours of radio traffic usually from 0800 to 1600 hours. The radio station transmitting the above noted message was sent once a day during the radio officer's normal watch. The radio officer aboard the TEXACO NORTH DAKOTA did not pick up this broadcast. No shoreside personnel of Texaco was assigned the task of monitoring these radio broadcasts, and apparently no one in Texaco's shoreside employment did in fact pick up this broadcast. Captain Lupton testified that he was aware of the passage of Hurricane Allen in the Gulf and that he had plotted its course. He testified further that if the information contained in the radio broadcast had been specifically called to his attention by his marine office, he might have taken more particular precautions. Captain Lupton was aware of the passage of the hurricane, and was also aware, or should have been aware, of the increased risks created thereby. His decision not to use the safety fairway in these circumstances constituted a risk-taking decision to which Texaco was privy. On the night of the allision, David Roman was posted as lookout for the 0400-0800 watch. He stood this watch on the wing of the bridge. The Chief Officer positioned Roman on the wing of the bridge rather than on the bow because he believed the higher position provided a better vantage point and because he would be better able to monitor the lookout at that station. Captain Lupton testified that this positioning was in accordance with his general policy. The lookout was placed on the bow only when the vessel was approaching port or when the weather caused poor visibility. Texaco did not recommend or mandate any particular positioning of lookouts, and left these decisions to the discretion of its masters. Chevron contends that the failure to post the lookout on the bow on the night of the allision was negligence which contributed to the allision. Chevron cites cases holding that the proper place for a lookout is, under ordinary circumstances, on the bow. E.g., Sun Oil Co. v. S.S. GEORGEL, 245 F. Supp. 537 (S.D.N.Y.1965). But, even assuming improper navigation in not placing the lookout on the bow, such improper navigation is not a managerial concern. See Complaint of B.F.T. No. Two Corp., 433 F. Supp. 854 (E.D.Penn.1977). 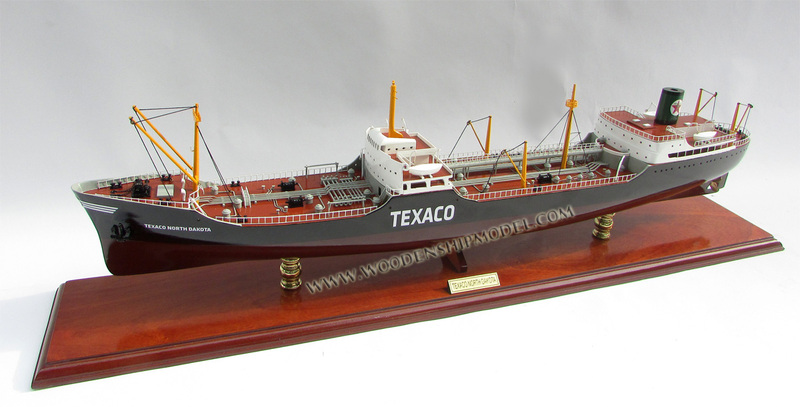 The TEXACO NORTH DAKOTA was equipped with a three centimeter radar set and a ten centimeter radar set. On the night of the allision, only the ten centimeter radar set was operating, with the three centimeter radar set on standby. Texaco left it to the discretion of its masters when to use one or both radar systems. For example, it was Captain Lupton's policy to use both radars when entering and departing port, but, in open sea conditions, one radar was used, with the other on standby. If Captain Lupton considered the waters to be congested, he would order the use of both radars; he testified further that he would use both radars when approaching a number of rigs. Only one radar was operating when he retired for the night of August 20, 1980. Although he left no instructions concerning the radar, he testified that he expected that his qualified officers would use their good judgment in reaching a decision to use (or not to use) both radars when approaching the rigs several hours later. *1287 Claimants contend that the failure to use two radars on the night of the allision, coupled with the existence of an alleged "blind spot" in the ten centimeter radar in use at that time, constitute negligence and unseaworthiness within the privity and knowledge of Texaco's management. Claimants contend that a blind spot existed in the ten centimeter radar due to the positioning of the radar viz-a-viz the foremast and its crosstree. The foremast was 2'25" wide and approximately 45'4" from the deck to the crosstree, which itself measured 24'2" across, and about 45.4' above the forecastle deck. The ten centimeter radar scanner was 48'7" above the deck, and was located about 115'8" back from the foremast and cross tree which were positioned slightly to the left forward of the radar scanner. The bottom of the crosstree was 2.48' above the scanner. 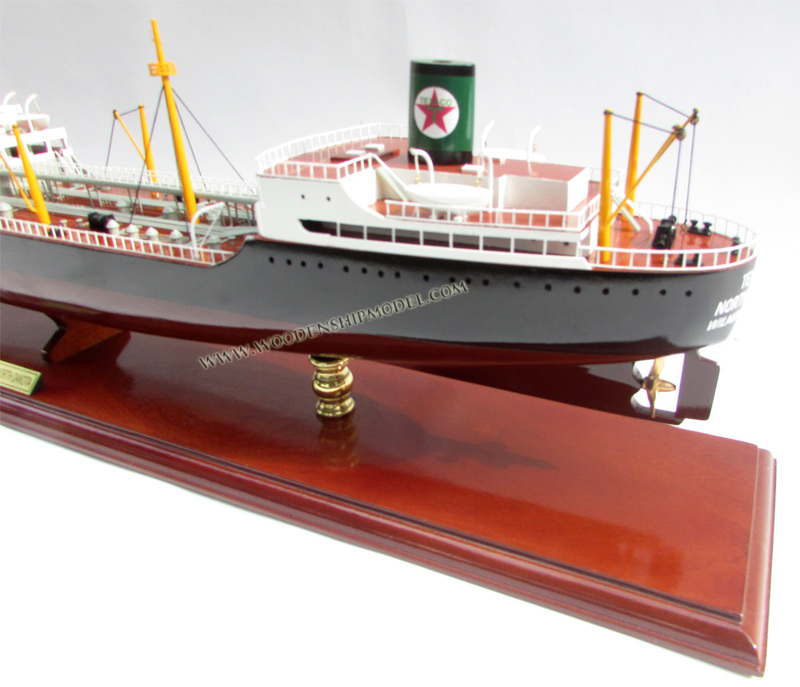 The TEXACO NORTH DAKOTA was the only remaining vessel of its class in the domestic fleet with the foremast and crosstree placed precisely as it was. On May 28, 1980, Chief Engineer W.J. Clark of the TEXACO NORTH DAKOTA sent in a Form M162 Shipyard Repair Request to crop the foremast. The request was designated "Hold for further study August 11, 1980." At the time of the allision, no further action had been taken on this request. It is uncontested that the officer conning the ship at the time of the allision, Chief Officer Graham, at no time viewed the Chevron jacket on the ten centimeter radar screen, although he looked at the screen some five to six times during the 20-25 minutes he was on watch before the allision. It is apparent that the ten centimeter radar, if properly adjusted, should have easily picked up the jacket. There was no testimony that the radar was improperly adjusted on the night of the allision. Chief Officer Graham testified that the gain on the radar was properly adjusted, and this testimony was essentially confirmed by the vessel's radar maintenance man, Altrer Tschurhart, who checked the radar that night before retiring. Claimants, as noted previously, contend that the ten centimeter radar was flawed by the presence of a blind spot caused by the obstruction of the foremast and crosstree; and that this blind spot prevented or obscured the jacket from appearing on the ten centimeter radar screen. The testimony at trial substantially confirms that the configuration of the foremast and crosstree had some obscuring effect upon the ability of the radar to pick up targets. This interference was described variously as a "vector of interference," "shadow sector," "grey area," "area of reduced power output," and "attenuated area." Chief Officer Graham was aware that the ten centimeter radar had "shadow sectors" or "vectors of interference." He understood that this interference resulted from the foremast configuration previously described and acknowledged that the Chevron jacket was just prior to the allision probably positioned in the area of interference, which comprised approximately a 3°-6° vector fine on the port bow, "extending from the heading line on out." Darrel Miller, Second Officer, testified similarly. He was aware of a "gray area" about 8° on the port bow caused by the foremast. Finally, Captain Lupton testified that he had heard discussion of a blind spot on the ten centimeter radar, and that he had noted a gray area. It was his opinion that this was caused by the crosstree on the foremast. On cross-examination, Captain Lupton conceded that removal of the crosstree could have improved the radar. He testified, however, that it was his understanding that this was not the reason for the request to crop the foremast, but that this request was made because the crosstree and foremast no longer served a useful function and the crosstree was rusting. The manufacturer's manual for the Raytheon 1660 ten centimeter radar refers to the possibility of a blind spot caused by the foremast of the ship. The manual further states that the angular width and relative bearing of any shaded sector should be determined immediately after installation. *1288 Texaco's shore-side personnel were unaware that the ten centimeter radar experienced any area of interference, and explained that Texaco would rely on its masters and crew members to bring any such problem to its attention. Both John H. Merrell, Acting Assistant Manager Onshore and Robert L. Kroh, a radar maintenance man stationed onshore, testified that they were generally aware that radar interference can be caused by obstructions such as foremasts, smoke stacks, etc. Texaco did not initiate or conduct any affirmative investigation to determine the existence and/or degree of the extent of such interference. Chevron called Hilliard Lubin, an expert radar consultant, who testified concerning calculations he made with respect to the physical location of the foremast and crosstree in relation to the radar scanner. He concluded that there was a shadow area from dead ahead to about ten degrees to port, give or take a degree, caused by the foremast and crosstree. Referring to The Use of Radar at Sea, by Captain F.J. Wylie, one of the respected treatises in the field, Lubin stated that the average foremast causes some shadow, and that, accordingly, a crosstree causes a greater problem. The reference notes further that where the scanner is placed at or just above the level of the crosstree, a more extensive sector of interference may result. The writing goes on to observe: "of the necessity for exact and intimate knowledge of the sectors and for exhibiting the information on a notice or tally plate near the display, there is no dispute." It was Mr. Lubin's opinion that the shadow area on the TEXACO NORTH DAKOTA was the only reasonable explanation for the Chief Officer's failure to see the jacket on the ten centimeter radar screen. Lubin also testified that the three centimeter radar should have been used on the night of the allision because it has a narrower beam width, allowing a more detailed picture. He went on to make the statement that Texaco management had the responsibility to give instructions concerning the navigation of a vessel with a radar blind spot or shadow area. Chevron calls attention to Summit Venture Limitation Proceedings, Civil Action No. 80-563 on the docket of the United States District Court, Middle District of Florida, decided on March 14, 1983, 566 F. Supp. 962. SUMMIT VENTURE collided with the Sunshine Skyway Bridge. The vessel owner sought to limit liability. SUMMIT VENTURE was equipped with two three-centimeter radars. On May 16, 1980, the vessel was proceeding through Egmont Channel in the Tampa Bay in extremely severe weather conditions, including heavy rain and fog. The crew was unable to visually sight buoys placed to guide the ship's course and radar contact with the buoys was also lost due to the heavy rainfall. Interference apparently resulted from simultaneous operation of the two radars. The court concluded that the interference resulting from the radars operating together did not in and of itself render the vessel unseaworthy. However, the court concluded that the problem was well known and that it was an error of judgment on the part of the owners to allow the ship to proceed to sea without correcting a known problem. Though Texaco essentially concedes the existence of a gray area which occasionally diminished visibility on the radar scope, they argue that it in no way completely obscured targets. Texaco argues further that the radar sets were regularly maintained and reasonably fit for their intended use as an aid in navigating the ship. Mr. Kroh, Texaco's onshore electronics man, was familiar with this ten centimeter radar and testified that he considered it fully fit for use. Texaco contends that several possibilities exist for the failure of the Chevron platform to appear on the radar scope, including improper adjustment of the radar, or a circuit failure immediately prior to the casualty. The problem with these contentions is that they are just that contentions unsupported by the evidence. There is no evidence *1289 to support the contention of improper adjustment or of circuit failure; in fact, the evidence indicated that the radar was properly adjusted on the night of the allision. A more plausible explanation for the radar's failure to pick up the jacket was that it was lost or obscured in an area of interference located several degrees off the port bow and caused by the positioning of the foremast and crosstree. The vessel owner had a duty to investigate the apparent existence of an area of radar interference and to determine its nature, intensity, and size. This could have resulted in appropriate measures to remove the foremast or the crosstree. Where the ship owner could make a determination of such needs by reasonable and prudent inspection, he is burdened by that responsibility. Summit Venture Limitation Proceedings, supra; Waterman Steamship Corporation v. Gay Cottons, 414 F.2d 724 (9th Cir. 1969). The U.S. Defense Mapping Agency ("DMA") publishes a weekly Notice to Mariners containing updates of recent changes and additions to navigational aids and other matters of navigational safety for the high seas, territorial waters, inland waters and harbors throughout the United States and the world. These Notices also contain weekly updates of offshore well locations and related structures. The U.S. Coast Guard, 8th District, publishes a weekly Local Notice to Mariners for the district. The Local Notice contains useful marine information relating to the U.S. Intracoastal Waterways, Mississippi River and its tributaries, and other waterways and harbors within the territorial limits of the 8th Coast Guard District. Local Notices are printed, and delivered to the 8th Coast Guard District's mail room on Fridays, and, thereafter, disseminated by U.S. Mail to those on the District's mailing list. The Local Notices are also sent to the DMA where some of the information contained therein is collated and included in a subsequent DMA Notice to Mariners. Title 33 C.F.R. 164.33 requires that all vessels have the most recent, available and currently corrected copy of both the DMA Notice to Mariners and the Local Coast Guard Notice to Mariners. On July 30, 1980, the 8th Coast Guard District Local Notice to Mariners No. 32-80 was compiled, containing a notice that "Chevron 192-3 in position 28-07-04N, 91-39-25W has been established displaying four quick flashing white lights. Sign: CH-EI-361-A. Chart: 11340." This Local Notice was delivered to the U.S. Postal Service on Friday, August 1, 1980, for distribution through the regular mail. As the navigating officers of TEXACO NORTH DAKOTA traversed the Gulf, they referred to NOAA chart No. 11340 (40th Ed. March 1, 1980). That chart had been placed into service aboard the ship on August 15, 1980. The chart was updated by weekly Notices to Mariners, and at the onset of this voyage had been corrected through and including Notice to Mariners No. 33, the most recent issue of that publication preceding the allision. Because that Notice did not contain information concerning the Chevron structure, the navigation chart did not reflect the existence of the structure. It is undisputed that the most recent Eighth Coast Guard District Local Notice to Mariners No. 32-80 containing that particular information had not been received aboard the vessel. Captain Lupton testified that he was aware of the statutory duty to have both the Notice to Mariners and the Local Notice to Mariners aboard, and that it was his responsibility to ensure that all necessary navigational aids were aboard. He acknowledged that TEXACO NORTH DAKOTA had not been placed on the mailing list for the Eighth Coast Guard Local Notice to Mariners. Thus, the vessel did not receive said publication at all during 1980. Texaco's shoreside management did not receive the 8th District Local Notices to Mariners, and was unaware until after the allision that the TEXACO NORTH DAKOTA was not receiving them. Texaco relied upon its masters to ensure that appropriate publications were ordered and on board. 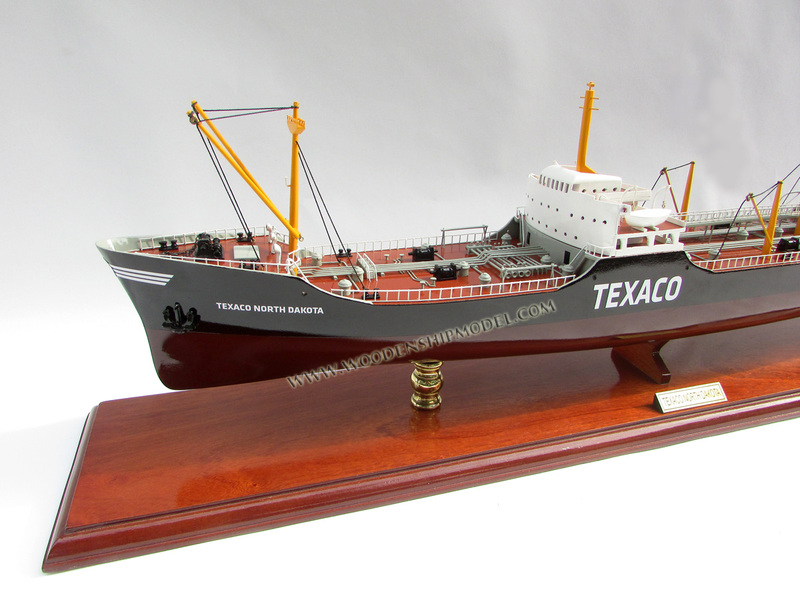 Texaco itself takes responsibility for ensuring *1290 that all charts and publications ordered through them by their ship masters do in fact reach the vessels, and in general that all ship mail reaches the vessels. Had Captain Lupton put his ship on the mailing list for the 8th Coast Guard Local Notices to Mariners, Local Notice 32-80, published and sent to the U.S. Postal Service on August 1, 1980, would have reached the vessel at some point prior to the allision, if not by August 4th when it departed on its journey, at least by August 18th, when the vessel docked at its interim destination: Marcus Hook, Pennsylvania. Whether the vessel owner could properly delegate responsibility to the ship's navigating officers for ensuring that all appropriate charts and publications were aboard is an important consideration. Chevron relies on several cases in contending that the vessel owner's failure to ensure that up-to-date charts and publications were aboard constitutes a breach of its duty to provide a seaworthy vessel. Our view of the law ... is that charts, light lists, and similar navigational data are essential equipment for the safe navigation of a ship, that she is unseaworthy without them, and it is the duty of her owner to supply them. Such documents of course become sources of information for the navigator, and the task of securing them is often delegated to officers of the ship. Failure to supply adequate information or navigation without it may thus constitute negligent navigation or management for which they are chargeable; but it does not follow that the owner is thereby relieved by the Harter Act from liability from ensuing disaster, because the same circumstances may also amount to failure on his part to use due diligence to make his vessel seaworthy. The duty of an owner in this respect is nondelegable; and the navigation of a ship defectively equipped by a crew aware of her condition does not relieve the owner of his responsibility or transform unseaworthiness into bad seamanship. 456 F. Supp. at 1334. The COLOCOTRONI case is distinguishable from the instant one in several respects. First, it did not directly involve a disposition of the breaking of limitation, and to the extent that it did, it relied upon cases involving exoneration under the Harter Act. Second, the shipowner's agent shoreside exercised absolute control over the day to day operations of the vessel; and it is well established that the greater the degree of control exerted by the vessel owner, the greater is his duty of control. The COLOCOTRONI decision does, however, stand for the general proposition that a vessel owner has a duty to ensure that his vessel is equipped with proper charts. Claimants rely heavily upon the recent decision in The MARION, on appeal from the High Court of Justice, Queen's Bench Division (Admiralty Court), decided on May 20, 1983. In that case, the vessel MARION damaged an oil pipeline when she attempted to weigh anchor. The immediate cause of the damage was found by the lower court to be the negligence of the master in navigating the vessel off uncorrected charts upon which the pipeline was not shown. The owners sought to limit their liability under the Merchant Shipping Act of 1894 on the ground that the damage to the pipeline was caused without their actual fault or privity. The lower court found for the owners in the limitation action. He held *1291 that the provision and maintenance of the charts, including their correction, were matters incidental to navigation, and thus properly within the sole responsibility of the master. The owners were thus justified in relying on the master to ensure that the vessel was provided with adequate and up-to-date charts. Both courts found that the master of the MARION was grossly negligent in handling the vessel's charts. A corrected chart showing the pipeline was aboard the ship, but was not used. The master was in complete charge of requisitioning and up dating charts. The master inadequately performed these tasks charts were not consistently updated and out of date charts were not consistently discarded when new ones were obtained. The appellate court held that the vessel owners violated their duty to ensure that the vessel was furnished with the latest charts and navigational information, including their duty to institute an appropriate system for this purpose. This holding was based in large part on the fact that about one year prior to the incident, a report had been issued by various Liberian inspection officials that was highly critical of the state of the charts aboard the vessel. The higher court found that this report should have put the shipowner on notice that "a very unsatisfactory situation existed ... in relation to charts requiring urgent remedial action...." In light of that report, the court observed that the practice, "if it be a practice," of leaving the correction of charts wholly to the master without even knowing what, if any, system was in operation on board the vessel, and without any supervision of the master and his officers, was fraught with danger and inconsistent with the high standard of care owed by the shipowner in relation to charts. The key distinction between The MARION and the instant case is that the vessel owners in the former case had strong reason to know that the master's handling of the charts was grossly negligent because of the inspection report turned over to the operations manager of the shore-side management team. Texaco had no such cause to believe that its delegation of authority in the area of charts to Captain Lupton was lacking in some fashion. This distinction is not, however, sufficient to render The MARION completely inapplicable. My review of the cases in this area leads me to the conclusion that a vessel owner is generally held to a high standard of care to ensure that his vessel is equipped with up-to-date navigational information, and that this includes more than a total delegation of responsibility to a master, however competent. At the least, a vessel owner has a duty to assure itself that an adequate system is established for the updating of charts, and to periodically check to see that the system is functioning properly. Texaco's compliance with this duty fell short of these minimum standards. There remains the question of causation. In The MARION, it was clear that the lack of a suitable chart updating system contributed to the accident since a corrected version of the chart showing the pipeline was in fact aboard the MARION, but simply *1292 was not used. The vessel owners argued that because the owners had provided a correct chart, the sole cause of the accident was the master's negligence in not using it. The court rejected this contention, finding that if the vessel owner had taken appropriate action on the Liberian report, including at least a reprimand for the master, "it is impossible to say that the master would have continued to navigate off out of date charts." In the instant case, the question of causation is less clearly resolved. The latest Local Notice for the 8th District was not aboard the TEXACO NORTH DAKOTA at the inception of its voyage on August 4, 1980. It was sent out by the Coast Guard on Friday, August 1, 1980, and, thus, Texaco contends, would not have reached the vessel before it sailed, even had it been on the mailing list. Since Texaco contends that the Notice would not have reached the TEXACO NORTH DAKOTA until it returned to home port, they further contend that any negligence in failing to obtain the Local Notices could not have contributed to the accident. Claimants contend that the vessel would surely have received the Local Notice at its interim destination at least, along with other forwarded ship's mail. This contention is supported by evidence that Texaco's shore side personnel regarded ship's mail as a high priority item. I find that the allision which occurred in the early morning hours of August 21, 1981, was directly attributable to varying degrees of fault on the part of all parties involved. Further, I find Texaco is not entitled to limit its liability. A progression of coincidental failures, oversights, mishaps and non-followups all played a part in causing the allision. Fortunately, the loss occasioned thereby has been pretty much a property loss situation, since, mercifully, there was no loss of life and the alleged personal injuries were, in almost all instances, quite moderate. I have tried to make the apportionment of fault as fine tuned as possible. Basically, I have concluded that the fault should be apportioned on the basis of something in the range of one-third against the unlighted structure (or, perhaps I should say, the structure which I conclude was unlighted) and two-thirds against the ship. But, even that required a little additional fine tuning since I considered every possibility between 35%-65% and 30%-70%; finally arriving at 67% as to the vessel and 33% as to the structure. Then, the matter of the apportionment among the so-called structure entities needed to be addressed. My considerations in that regard were based on a conclusion that the magnitude of that aspect of the fault determination was on a sort of one, two, three basis, with Tideland bearing the greatest degree, Brown & Root next, and Chevron last. After a good deal of consideration on this point, I finally concluded that the percentage of liability of the structure entities should be Tideland16%, Brown & Root 12%, and Chevron 5%, so that the overall apportionment of fault for the allision and the resulting damages occasioned thereby is: Texaco 67%, Tideland 16%, Brown & Root 12%, and Chevron 5%. Whether this kind of decision is validly a matter of navigation will be later discussed. By use of this informal frame of reference, I imply no specific criticism of that particular navigational decision, i.e., to "run the rigs." Rather, I use it simply to signal the difference between what was done here (running the rigs) and conning the vessel through the designated safety fairways. That case determined that the failure to maintain a proper lookout was not within the privity or knowledge of the owner. The court reasoned that the policy of the Act seeks to protect owners from operational fault over which they have no control. Furthermore, management in that case had entrusted this operation to a man who had worked for more than 25 years and had never had an accident. The court concluded that management had no actual knowledge of the failure of the captain to post a lookout, and that they had no non-delegable duty to decide in all situations to post a lookout.